Google has officially added another product to its “Compare” brand. 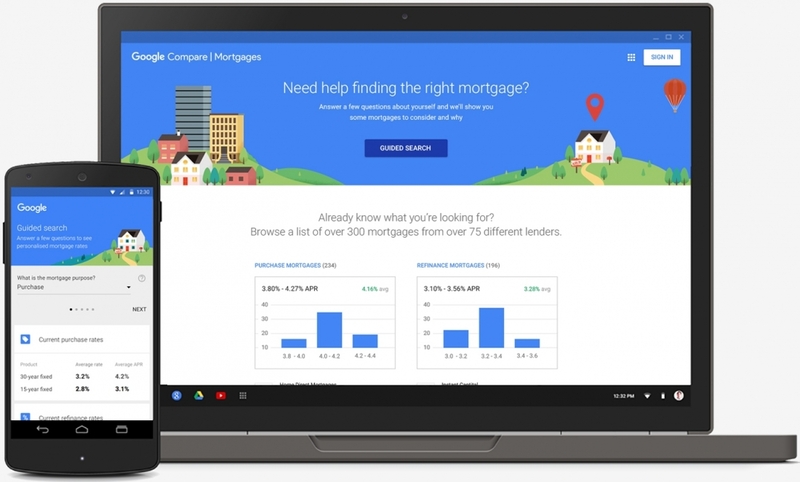 Dubbed Google Compare for Mortgages, the new addition helps prospective home buyers make a more informed financial decision when it comes time to buy a house. Nicolas Wk, Director of Product Management for Google Compare, said the service provides a seamless, intuitive experience that connects lenders with borrowers online. Those looking for financing will be able to enter relevant information such as the loan amount they’re seeking and an estimate of their credit score to receive quotes that best fit their situation. Backed by Lending Tree and Zillow, users can expect a real-time, apples-to-apples comparison of rate quotes from a variety of lenders. Potential borrowers can then apply for a mortgage online or call a prospective lender for more information. Google earlier this year announced Google Compare for Auto Insurance, an aggregator for auto insurance that also aimed to make it easier for shoppers to compare offers and make informed decisions with regard to auto insurance. The search giant revealed back in May that a Compare service for mortgages was in the works. As was the case with the auto insurance launch, Compare for Mortgages is initially only being offered in California. Google said it plans to expand the service to additional states although it didn’t provide a timeline for the rollout.